The Backroad Life: Why do farmers use an auger cart during harvest? 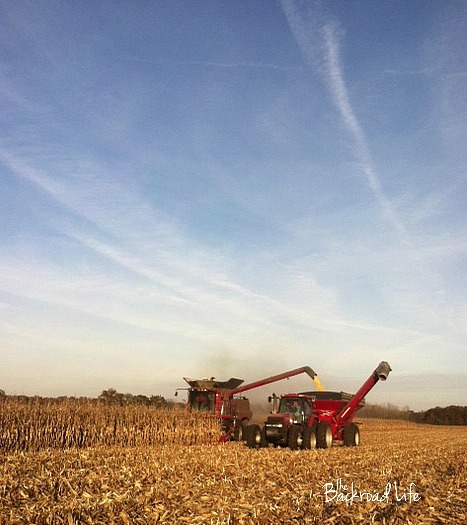 An auger cart is a very much appreciated piece of equipment during harvest season. When weather conditions are right, a farmer wants to get the crops harvested in a timely manor. 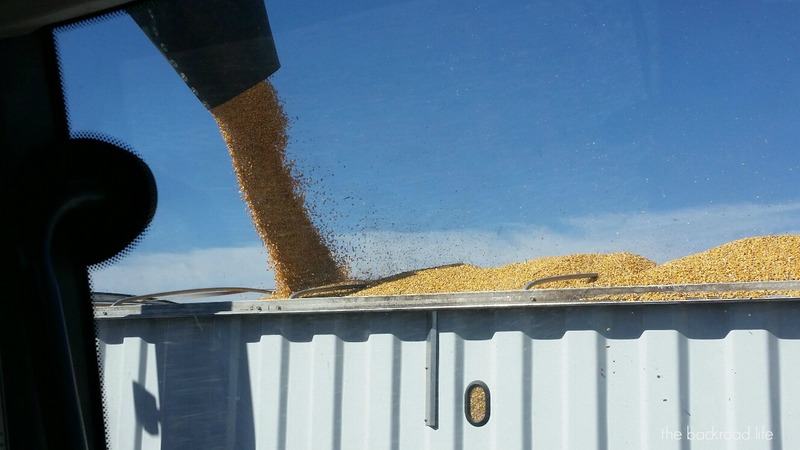 Being efficient during harvest season helps with time. 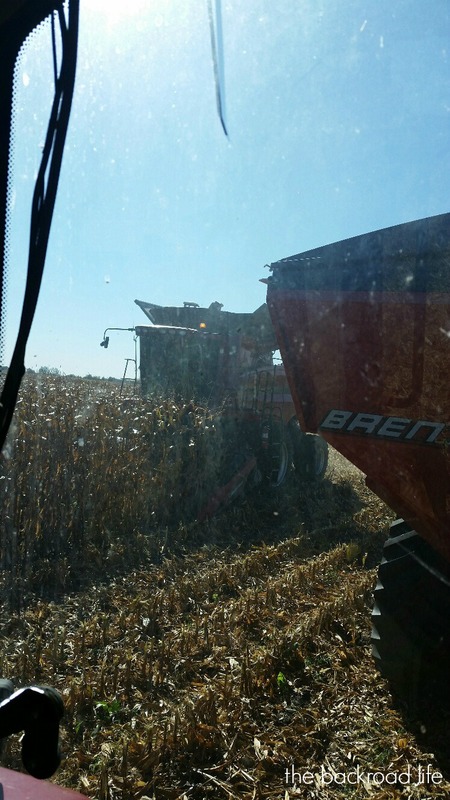 Using an auger cart during harvest is one way to help with efficiency in the field. I remember growing up riding with my dad or grandpa in the combine. In the cab of the combine, there was window in the back that looked into the hopper of the combine. When the window was covered with corn or soybeans, I knew the hopper was close to full and it was almost time to dump into the grain truck. 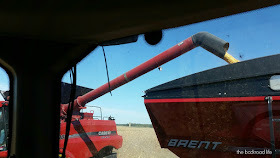 In a long field, I have some memories of not getting down and back the full length of field before having to empty the hopper, so would have to stop mid length, pull out of the rows and go unload in the truck waiting to be filled. 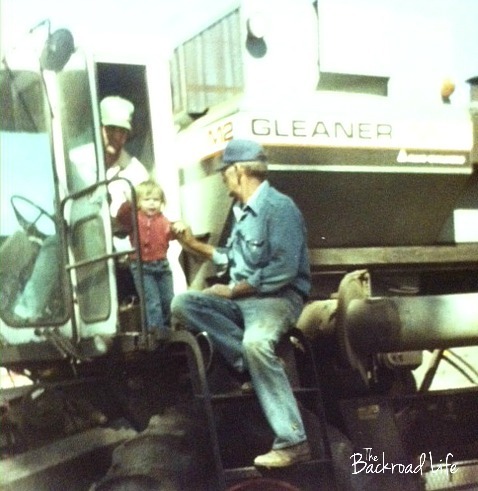 A picture of my grandpa helping me, in my little years, out of the combine from riding with my dad. Efficiency has increased for farmers over the years. So what is the role of an auger cart during harvest? 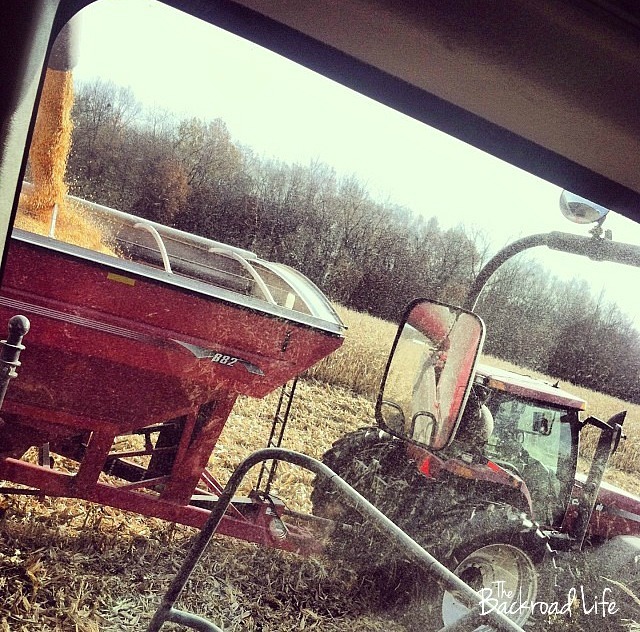 Farmers are able to continue combining with the use of an auger cart. The auger cart allows the farmer to continue harvesting while unloading grain into the cart, so they don't have to stop to fill the semi. Without an auger cart, a lot of time is spent to go back to the semi to unload, creating a longer amount of time to get the crops harvested. 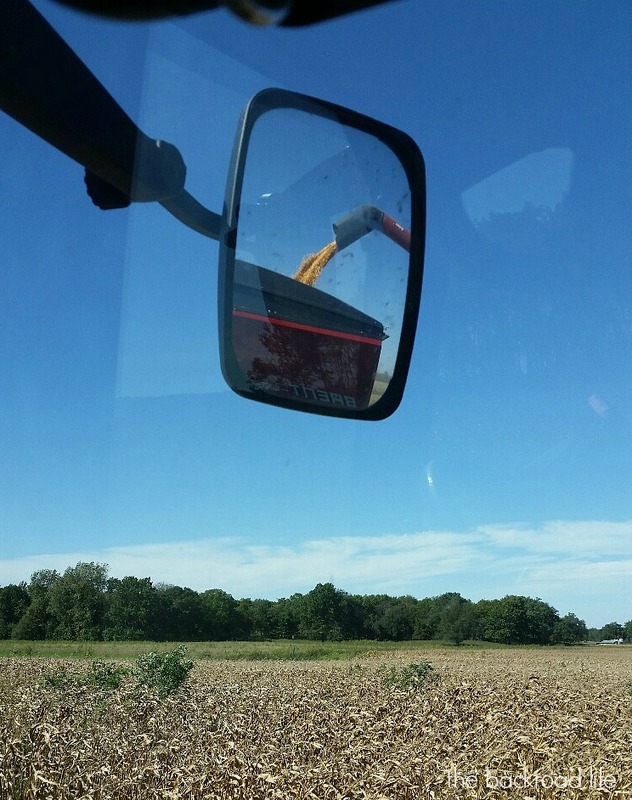 With higher yields of corn and soybeans the combine is full faster and the auger cart is so helpful with efficiency. 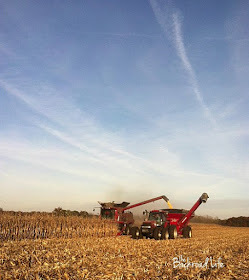 The auger cart is pulled by a tractor. The tractor driver waits in the field until the combine is close to full and ready to unload. The combine has lights on the outside that flash, which helps signal the tractor driver that the combine needs to unload. The tractor driver then pulls up beside the combine and the farmer can then unload the combine into the auger cart - on the go! This is done a few times until the auger cart is full. Then the tractor driver pulls up to the semi and unloads into the semi, all while the farmer is continuing to harvest the crop with the combine. 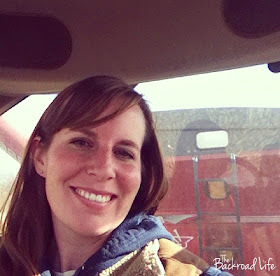 I help my dad and brother in the field during harvest as the auger cart driver. Harvest is one of my favorite times of year! So many memories growing up during harvest season and love that my kids can experience it and create memories as well.